PonderWonders: Aloha Friday! It's a Party with Prizes! Aloha Friday! It's a Party with Prizes! Hola Readers, Familia, Friends and Peek-A-Booers! It's just like Jeans says It's time to celebrate Aloha Friday....Blog Hop Style...with a Give-A-Way!!!! A win-win situation! Let's get jiggy wit it! 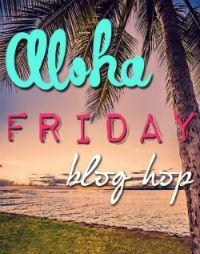 The Aloha Friday Blog Hop is more than a "Friday" hop, it's a way to share aloha and friendship to our fellow bloggers all weekend long!! I consider this particular blog hop to be more of a weekend hop because Fridays are so hectic that a lot of people function on what we like to call "Hawaiian Time" here in Hawai'i which means they link up on Saturday or sometimes even Sunday which is just fine and dandy with me! That's why I keep it open from Friday through Wednesday because I sincerely believe, the more the merrier!! Follow your Aloha Friday Hop hosts and team members. Share this hop so that others might join in. 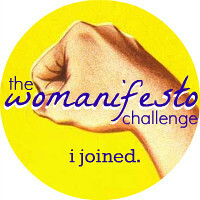 Visit at least three other blogs and let them know you've come to share aloha. Stay tuned for the AWESOME December giveaway at the end of this post!! The last two Aloha Friday Blog Hops have had between 180-200 participants. It's really helping us all get more followers and more exposure!! Make sure you link up because every single button in the last link up was clicked at least 5 times, some as many as 100 times. It really helps get you followers! If you're interested in co-hosting next month's Aloha Friday Blog Hop, please email Jean@whatjeanlikes.com for more info. Stefani at Jo and Co. If you're not already a follower than you definitely should be! Now, let's link up and start spreading that Aloha shall we? Link up below and click "Read More" after the linky to enter our awesome December Team Givewaway!! What's the prize you ask? Well, just the opportunity to share your lovely blog or website with the world on 5 different sites. But wait, there's more! 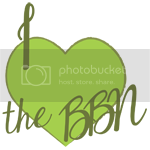 Five of our lovely hosts are so generously giving away free ad space on their sites as well as featured posts/guest posts for your site on 3 of our blogs as well! 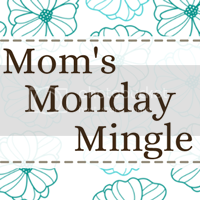 It's a lot of great opportunities for exposure to your lovely blog! 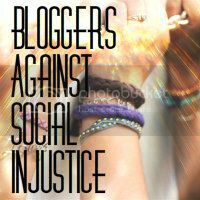 Google lets me follow you but since I don't have a blogger blog I don't think I can get followed back. I'd love to connect with you on any other social medium, I have all the links on my site! I always comment and follow back! Happy Holidays! My Last Affair in December...At Least For Now! Aloha Friday! Share the Love & Support Early! December Amor - Meet the Sponsors! Recipe of the Week: Fried Donuts! Yum! Sharing Decision 1: "The Buck Stops Here"
Wordless Wednesday.....Just Missing My Girlz! Recipe of the Week: Tostones by a Cubana! A Game of Winterlicious Tag! I'm Having An Affair, Oh My! Recipe of the Week : Pita Pizzas & Greek Salad!